Use graph paper. You can sketch out your mod more accurately on graph paper than on blank paper. 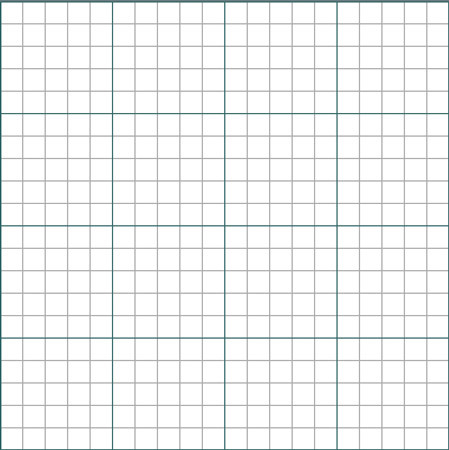 This is what graph paper looks like. You can look at each box on the graph paper as a single block in Minecraft. Math blocks can be even more useful than graph paper. You can create the 3D effect, where you almost feel like you’re walking around in the mod you’re designing. Using blank paper has its place, too. Sometimes you just want to get a general idea of what your mod will look like or what it will do, so you don’t need to add lots of detail. Build it in Minecraft first. If you’re designing a mod in which you build a structure such as a roller coaster, build the structure by hand in Minecraft first, to form an idea of its construction. Keep paper and a pencil handy. Even after you sketch out your mod, you may need to jot down ideas or work through a problem in your mod.